This new drawing has been produced to commemorate the 40th anniversary of the untimely death of this iconic Swiss racing driver at Brands Hatch in October 1971. Seppi, as he was known, was an exceptional talent in sports cars and formula one alike. A quiet and relaxed man away from the car but a totally brave and determined driver behind the wheel. 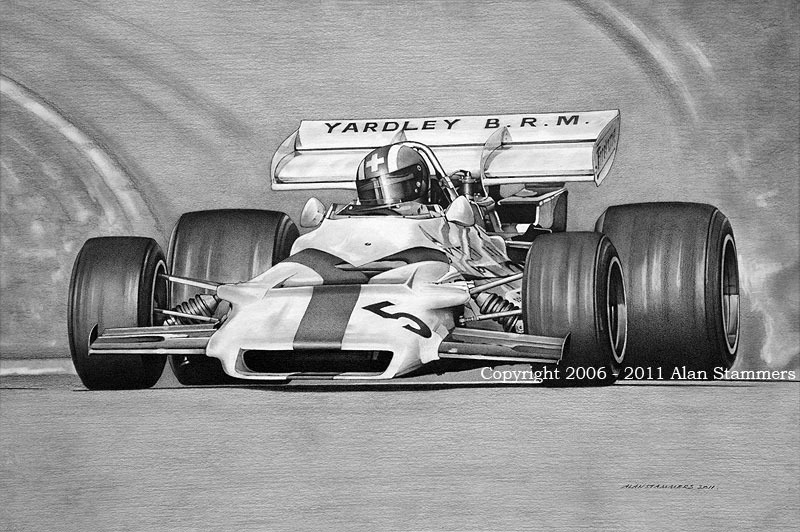 The prints have kindly been individually signed by Tim Parnell, the team manager of BRM from 1970 - 1974. They are also individually signed, numbered and embossed by the artist. No further prints will be produced.